We're smack in the middle of Movember this week and we couldn't think of anything that was more important and inspiring to both astronomy and mustaches than Canadian astronaut, Chris Hadfield (CSA bio page here). 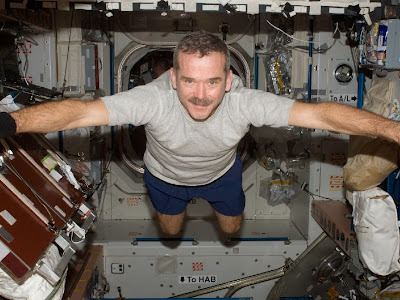 Hadfield was the first Canadian to walk in space and flew two space shuttle missions before serving as commander of the International Space Station (ISS) for several months in 2013. Hadfield became a social media celebrity during his time on ISS and finished up his mission with a cover of David Bowie's "Space Oddity". 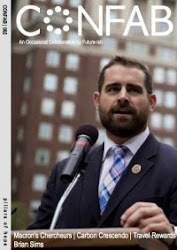 Hadfield has offered up lots of content on Facebook, Reddit, Tumblr, and YouTube but even more impressive...he's collected over 1,000,000 Twitter followers. But that mustache! Certainly one of the best Movember mentors...in the universe! 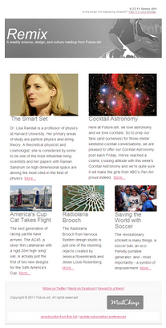 Lucky for us, Hadfield has his own Movember page. 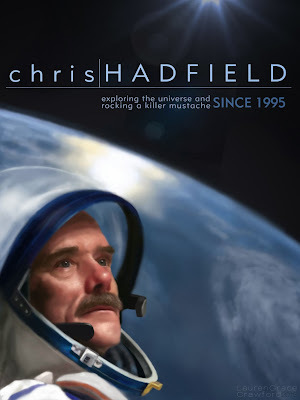 Hadfield and his mustache even inspired an original digital painting and poster by Canadian illustrator Lauren Grace Crawford (below). Cocktail Pairing: Guiness, Hadfield's favorite beer.